There are three types of courts in Sweden: general courts, special courts and administrative courts. General courts handle criminal and civil cases, as well as family-related cases. The hierarchy of the general courts is (i) district courts, (ii) appellate courts and (iii) the Supreme Court. Commercial disputes are primarily heard by the general courts, while the jurisdiction of the special courts is restricted to cases where the dispute relates to special parts of substantive law, such as labour law, patent and trademark law, competition and market law and environmental law. The administrative courts primarily handle cases relating to disputes between a public authority and a private party. These courts are also structured in a three-tier system with administrative district courts, administrative courts of appeal and the Supreme Administrative Court. Civil proceedings are adversarial and judges have in general a passive role. This means that the parties are responsible for presenting the material that they wish the court to consider in its ruling and the judge(s) cannot adjudicate on any circumstance that has not been invoked by the parties. There are no juries in Swedish civil proceedings. The Swedish Limitations Act stipulates the principal statutory limitation under Swedish law, namely that a claim not invoked within a period of 10 years from its accrual is time-barred. However, there are rules stipulating a shorter period of limitation. For example, there is a time limit of three months to challenge a shareholders’ meeting and a three-year limit in a consumer-to-business relationship. Further, in commercial relationships, parties are free to agree on amendments of the stipulated limitation rules, such as to agree on a shorter period of limitation, to change the criteria for interrupting the time bar or to amend the subject of limitation. It should be noted that, in some cases, there is a formal requirement to instigate litigation in order to interrupt the time bar, while in other cases a written notification to the opposing party may be sufficient. There are no rules in the Swedish Code of Judicial Procedure stipulating any requirements prior to the commencement of formal proceedings. Procedural agreements generally do not preclude the parties from bringing an action to court, unless there is an explicit exception stated in law. One such exception stated in law, which precludes court proceedings, is an agreement between the parties to resolve the dispute by arbitration. However, pursuant to the rules of the Swedish Bar Association, a legal action against an opposing party must as a general rule not be taken unless the opposing party is given a reasonable period of time either to settle the claim or state its position thereto. This main rule is usually met by virtue of a letter requesting, for example, fulfilment of the opposing party’s obligations under an agreement, payment of an amount due or claim for damages, with the notification that legal actions may be taken otherwise. If a party initiates an action in court without the opposing party having given cause for it, this may have consequences as to the responsibility for litigation costs. the circumstances rendering the court competent, unless this is apparent from what is otherwise stated. If the plaintiff has any requests as to the management of the case, the plaintiff should state such requests in the application. When a summons is issued by the competent court, it will be served upon the defendant together with the summons application and the documents annexed thereto. The issuance of summons by the court constitutes the formal commencement of the proceedings, even though an application of summons shall be deemed to have arrived on the date it was filed (which, for example, will be the decisive date for assessing whether a claim has been brought within the limitation period). In recent years, Swedish courts have been criticised for not being able to adjudicate disputes in a timely manner, mostly due to a heavy caseload. There are, for the time being, no proposals to ease any such capacity issues. However, the district courts have the possibility to fulfil the quorum requirement with only one legally qualified judge (instead of three) when the court considers it sufficient with regard to the extent and difficulty of the case. This makes court proceedings more time-efficient and enables the parties to reach a judgment in a shorter amount of time. The defendant shall be afforded a reasonable time to provide a statement of defence (normally two to three weeks, but the defendant can apply for a longer time) and the statement of defence shall contain any procedural objections, information to what extent the plaintiff’s claims are admitted or contested and the basis thereof, together with the evidence invoked (as regards invoking of evidence in practice, see question 5). In the event the defendant fails to submit a statement of defence within the time stipulated by the court, the plaintiff may, on request, have the claim granted in a default judgment. Failure by the defendant to raise objections to certain procedural impediments, such as lack of jurisdiction of the court, in the first statement of defence, precludes the defendant from invoking such objections later on in the course of the proceedings. the court renders its judgment. In order to speed up the proceedings, the court is responsible for setting a timetable to trial together with the parties. However, during the preparation stage, procedural issues for the court to decide may arise; for example, requests for production of documents, interim measures, allowance of claims and evidence. The time for a case to reach trial depends on the complexity of the case and the workload of the court. Normally a commercial case will take approximately 12 to 18 months to reach trial in the first instance. The parties have limited possibilities to expedite the procedure and the timetable. If, however, a party in a commercial dispute delays the proceedings, the court may direct a party to finally determine its action or defence and to state the evidence (if any) that the party invokes. After the set time for such statement has expired, the party may not invoke new circumstances or new evidence unless it can reasonably prove that there was a valid excuse for its failure to invoke the circumstances or evidence earlier. If no oral evidence is invoked, it is possible to request a judgment over the complete case without a main hearing. Generally, these types of judgments expedite the proceedings. Parties are not normally obliged to retain documents before the start of litigation. However, if there is a risk that evidence may be lost or difficult to obtain and no trial is pending, a request may under limited conditions be made to a court in order to preserve evidence for the future. A person obliged to produce documents may be compelled to do so under penalty of a fine. Destroying, rendering unserviceable or concealing documents after a request for preservation of evidence has been made are actions sanctioned with a fine or imprisonment of up to four years. Concerning electronic documents, such a sanction is only possible when the document has a sign of origin that can be reliably controlled. the request is limited to certain documents, a certain category of documents or to all documents that are relevant to a clearly described and specified theme of proof. In addition, the court shall consider the importance the documents might have as evidence in relation to the counterparty’s interest in not disclosing the documents. Thus, a request for documents will be granted only if the court finds the request proportionate having considered the parties’ opposite interests. The production of documents may also be ordered by the court in relation to third parties. Documents covered by legal privilege can be withheld from the opponent and the court. Legal privilege applies to documents that originate from, for example, advocates and their counsel, physicians, dentists, midwives and trained nurses, and that contain information entrusted to or discovered by them in their professional capacity. In this respect it should be noted that advice from in-house lawyers is not protected by privilege. Furthermore, it is possible for a party to withhold documents that would involve disclosure of trade secrets, unless there is an extraordinary reason requiring disclosure of the document. As a general rule, personal notes produced exclusively for private use are also excluded. This principle has been extended in court practice to also include notes prepared exclusively for a company’s internal use. there are special reasons with regard to the costs, or the inconvenience that an examination at, or outside, the main hearing assumingly implies. In addition, written witness statements may be allowed if the parties so agree and the court does not find this manifestly inappropriate. It should be noted that the courts tend to give written witness statements less value than an oral testimony before the court. However, in case of an application for interim measures, written witness statements are allowed and often relied on by the court. Instead of having written witness statements, the parties are required to state in their submissions which witnesses they invoke, what the witness will testify about and what circumstances the witness shall prove. Except for the aforesaid, the content of the witness evidence does not have to be exchanged prior to examination of the witness at the main hearing. Experts shall, unless the court prescribes otherwise, submit a written opinion to the court. After the opinion is submitted, it shall be held accessible to the parties. The expert’s evidence shall cover the task assigned to him or her by the court or a party. There are no restrictions regarding what type of evidence the expert may give. However, the expert report must contain information that is relevant for the case. Witnesses give evidence orally at trial where they may be subject to cross-examination. The examination is left in the hands of the parties, starting with the party who has invoked the witness, followed by a cross-examination by the opposing party. The party who has invoked the witness may thereafter ask additional questions for clarification purposes (subject to the cross-examination), if permitted by the court. The court may ask additional questions to the witness, preferably only for clarification purposes. At trial, the witness has to take an oath. A witness who refuses to take the oath may be fined or put in custody. Witnesses who give false information or withhold the truth may be sentenced to a fine or imprisonment (maximum four years). It is possible to hear a witness via teleconference or video­conference if the court finds it appropriate and the parties and the witness consent thereto. An expert shall give evidence orally at trial if a party requests it and the examination of the expert is not without importance, or if the court otherwise finds it necessary. If an expert gives evidence at trial, the same rules as for witnesses apply (see ‘Witnesses’, above). However, it should be noted that an expert cannot be put in custody for refusing to take an oath, but he or she may be fined. If a party shows probable cause that a monetary claim is or can be the basis of judicial proceedings (or determined by another similar procedure), and it is reasonable to suspect that the opposing party, by absconding, removing property or other action will evade payment of the debt, the court may order that the opponent’s property shall serve as security for the monetary claim. If the claim concerns superior right to a certain property, and it is reasonable to suspect that the opposing party will conceal, substantially deteriorate or otherwise dispose of the property to the detriment of the applicant, the court may order provisional attachment of that property. The court may also order the immediate restoration of possession or other immediate redress in a pending proceeding concerning the superior right to a certain property, if it is shown that one of the parties has unlawfully disturbed the opposing party’s possession, or has taken any other unlawful measure regarding the property. If the claim is other than monetary, and the plaintiff shows probable cause for the claim in dispute, the court may order measures suitable to secure the applicant’s right. Such an order requires that it is reasonable to suspect that the opposing party - either by proceeding with a certain activity, performing or refraining from performing a certain act, or by other conduct - will hinder or render more difficult the exercise or realisation of the applicant’s right or substantially reduce the value of that right. Such interim measures may include a prohibition to proceeding with a certain activity or performing a certain act or an order to respect the applicant’s claim in other aspects. In both examples, the court order may be sanctioned with a fine. Applications for security measures are not normally granted unless the opposing party has been given an opportunity to respond, but may be granted immediately (ex parte) if a delay would place the applicant’s claim at risk. A prerequisite for a court to grant interim measures is that the applicant provides sufficient security - usually a bank guarantee - for the loss the opposing party may suffer should the applicant’s main claim be denied. In many cases it is also possible to obtain injunctions. The more specific conditions for such remedies are regulated separately in the different fields of law. Following case law, an interim measure must also meet a test of proportionality between the potential results of the security measure or injunction and the consequences it has for the opposing party. In civil proceedings, the court may either give a judgment of performance or a declaratory judgment. The judgments of performance available are orders to pay, inter alia, a specified amount (such as a contractual sum) or to pay damages for breach of contract, or decrees of specific performance compelling the defendant to perform an act (for example, to comply with contractual obligations) or refrain from it. As regards declaratory judgments, a party may request for a declaratory relief regarding whether or not a certain legal relationship exists between the parties. For example, the court may assess the validity of an agreement between the parties. However, it should be noted that it is within the court’s discretion to allow a claim for declaratory relief. There are also certain prerequisites under Swedish law that must be at hand in order for the court to be able to allow such a claim. If a party can request a judgment of performance, declaratory relief is in principle not available, subject to certain exemptions. Interest is payable on monetary awards only if the plaintiff has requested interest to be awarded and it is included in the judgment. However, interest on litigation costs is always payable from the date of the judgment until payment has been made, without the requirement for request by the parties. Punitive damages is not recognised as a remedy under Swedish law. If a party fails to voluntarily comply with a judgment, the counterparty can apply for enforcement at the Swedish Enforcement Authority. The enforcement can comprise both monetary claims and specific performances. The court may, in its judgment, order that the judgment is enforceable before it has gained legal force, if the court finds that there are reasons to do so. However, in such cases, the court may require the favoured party to provide a guarantee for the damage for which the favoured party may be liable, if the judgment is reversed by the court of appeal. A judgment can also be enforceable before it has gained legal force by default, due to a specific provision in the substantive law. Court hearings in civil proceedings are usually held in public. Exceptions can be made if, for example, it can be assumed that information presented or disclosed during the hearing is covered by secrecy under the Public Access to Information and Secrecy Act or the Act on the Protection of Trade Secrets. All court documents and documents produced and submitted in litigation are accessible to the public unless the court decides other­wise. Documents submitted in the proceedings that, for example, fall under the Act on the Protection of Trade Secrets are usually covered by secrecy. The court may also decide that secrecy should only apply to certain parts of a document that is otherwise public. If covered by secrecy, the document (or parts thereof) can be withheld from the public. The main rule under the Swedish Code of Judicial Procedure is that the losing party shall reimburse the winning party for all of its litigation costs. These costs include, inter alia, costs for counsel, witnesses and experts, as well as the party’s own costs. Litigation costs always have to be reasonable and fair (see question 17). Thus, the court may at its own discretion decrease the costs claimed by the winning party. However, this is usually done only upon request by the opposing party. As a general rule, allocation of litigation costs between the parties are made pro rata to the outcome of the case. However, in certain circumstances a deviation from the general rule is made and the winning party is ordered to cover the litigation costs of the losing party. Such may be the case if, for example, the winning party has acted carelessly in the legal proceedings or if the legal proceedings were initiated without cause (for instance, if the defendant would have complied with the plaintiff’s request had the defendant made the request before initiating the claim). The rules of allocation of litigation costs may not be circumvented by the use of a limited liability company that is deliberately underfunded to bear the opposing party’s litigation costs. If the limited company has no other business operations than the litigation, this can be reason enough for piercing the corporate veil and make the share­holders personally responsible for the litigation costs. If a foreign legal person or a foreign citizen that does not have residence in the EU or the EEA wants to bring a legal action before a Swedish court against a Swedish citizen, resident or legal person, the plaintiff shall provide security for the opposing party’s future litigation costs. In order for the court to determine such an order, the defendant has to make a request for it in its first pleading. The security shall cover the costs the defendant can be expected to be awarded if the plaintiff’s claim is rejected. Furthermore, a general prerequisite applicable to applicants requesting interim measures is that the applicant provides sufficient security (see question 12). Pursuant to the rules of the Swedish Bar Association, a lawyer must charge clients a reasonable and fair amount. These rules are in line with what the court may establish in a judgment under the Swedish Code of Judicial Procedure. Moreover, payment can only be made with normal methods of payment, and not by, for example, stock shares in a company. Swedish lawyers usually charge their clients on an hourly basis. Pursuant to the rules of the Swedish Bar Association, ‘contingency fees’ are not allowed. The amount that the lawyer charges the client must not, unless specifically agreed upon, be higher than the amount requested before the court. The rules of the Swedish Bar Association also forbid conditional fee agreements, unless there are special circumstances (eg, class action suits, cross-border cases with procedures outside of Sweden, and if it is necessary in order for the client to be able to have ‘access to justice’). It is permissible for a lawyer to accept compensation from a third party, and it is common for litigation to be funded by, for example, insurance companies as a consequence of the party being insured. 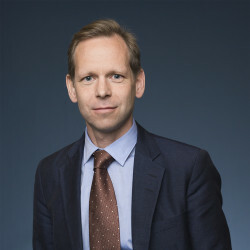 Although not prohibited, third-party funding in the sense of particular ‘funds’ or ‘investors’ is still rarely used in Swedish litigation. Neither is it prohibited per se for a third party financing the proceedings to take a share of any proceeds of the claim. There are certain company and liability insurance policies that may come into play in funding litigation. It often depends on the scope of the insurance policy and the type of claim at hand. In order to utilise such funding, notice must as a general rule be given to the insurance company prior to, or in connection with, the commencement of the proceeding. Most insurance policies also have a maximum ceiling and charge excess. Failure to notify the insurance company prior to the commencement of the proceeding may result in the party not being able to utilise the insurance. A class action proceeding under the Swedish Class Action Act occurs when a plaintiff represents several persons for whom the prejudicial case will have legal consequences. Class action suits may be individual class action cases, actions by organisations or public class actions. A class action case may cover claims that can be addressed by a general court in accordance with the rules of the Swedish Code of Judicial Procedure. An individual class action can be invoked by anyone who has a legal claim that is comprised by the class action. An organisation class action can be invoked by an unincorporated association that represents and protects consumers’ and wage earners’ interests. A public class action can be invoked by an authority that, depending on the subject of the dispute, is suitable to represent the group. A group trial may also be initiated pursuant to the specific provisions in the Swedish Environmental Code. the plaintiff is deemed suitable to bring a class action with respect to the plaintiff’s interest, economic conditions and other circumstances. A class action involves all group members that, within a certain period, have notified the court that they want to be included in the group (an ‘opt in’ proceeding). The court is responsible for notifying and informing about the class action suit. In general, the same rules apply for ordinary civil claims and class actions as regards the procedure. However, a class action can differ from ordinary proceedings in a few aspects. For instance, the court may designate a person as plaintiff, if the original plaintiff is no longer deemed to be suited for the task. A person that has been designated as a plaintiff to bring a class action has the right to receive compensation from public funds for litigation costs. The group members have no responsibility for the litigation costs in the proceedings. Exceptions to this main rule can be made in relation to a group member who negligently inflicts costs. In addition, contrary to ordinary litigation, the plaintiff’s counsel may enter into a ‘risk agreement’ with the plaintiff in respect of costs. The risk agreement may include a success fee, but it may not be based entirely on the value of the dispute. In order for a risk agreement to be valid, it must be in writing and be ratified by the court. there are other particular reasons to grant the leave of appeal. In addition to judgments, the court may also render decisions. Final decisions, ie, decisions by the court that end the proceedings without examination of the merits of the case, may always be appealed. As regards non-final decisions, ie, decisions by the court during the proceedings, the court may decide that the decision cannot be appealed or only appealed after the proceedings (ie, along with the appeal of the final judgment). the EFTA Convention on Jurisdiction and Enforcement of Judgments in Civil and Commercial Matters 1988 (the Lugano Convention). In order for a judgment to be enforceable in Sweden, it must involve a matter of civil law. In most cases, a formal decision of a competent authority (a court, or in the case of judgments governed by the Brussels I Regulation of 2012, the Swedish Enforcement Authority) is required before a judgment may be enforced. A judgment that is in conflict with Swedish public policy can never be enforced in Sweden. In the event the state where the foreign judgment was rendered is not part of a treaty of enforcement with Sweden, and is not party to the above-mentioned conventions and regulations, the judgment is not enforceable in Sweden. However, such foreign judgments may still be recognised and enforced de facto, if the parties have an exclusive jurisdiction agreement. In such a case, a Swedish court may simply accept the foreign judgment (to the extent it does not violate Swedish public policy) and deliver a judgment that replicates the foreign judgment, which then would be enforceable as any other domestic judgment. In addition to the above, it should also be mentioned that a foreign judgment that is not enforceable can be invoked as evidence in a domestic claim (ie, the foreign judgment is admissible as documentary evidence). Foreign judgments cannot be enforced under the principle of reciprocity in Sweden. EC Regulation No. 1206/2001 on cooperation between the courts of the member states of the EU in the taking of evidence in civil or commercial matters applies in Sweden in civil or commercial matters where a court in one member state, in accordance with the national legislation, requests that a competent court in another member state take evidence, or when it requests permission to take evidence directly in another member state. Swedish courts that take evidence on behalf of a court in another member state shall as a main rule apply the regulations in the Swedish Code of Judicial Procedure. Direct taking of evidence may only take place if it can be performed on a voluntary basis without the need for coercive measures. If the above-mentioned EU regulation and procedure for taking evidence is not applicable, the provisions in the Swedish Act on the taking of evidence for a foreign court of law governs the taking of evidence for a foreign court. A request for taking of evidence in a civil case or matter is submitted by the foreign court to the central authority in Sweden, which forwards it to the competent Swedish court that is to perform the taking of evidence. However, a request from one of the other Nordic states is sent directly to the competent Swedish court. The measures that may be required with regard to taking evidence are listed in the Act. The list of measures is, however, not exhaustive. If the foreign court has specific wishes with regard to the procedure, they will be accommodated insofar as they are not contrary to Swedish law. Heed must also be paid to restrictions in procedural law in the foreign state. Foreign judges have the right to be present when the evidence is taken. the arbitrators’ dismissal of a claim due to lack of jurisdiction can be subject to review by a court. the matter must be ‘arbitrable’. There is no formal requirement that the arbitration agreement must be in writing. The Arbitration Act states that there shall be three arbitrators. Each party appoints one arbitrator and the two arbitrators subsequently appoint the third arbitrator (and the third arbitrator is the chairman of the arbitral tribunal). If a party does not appoint an arbitrator, the other party may request the district court to appoint the arbitrator. If the two appointed arbitrators do not appoint a third arbitrator, a party can apply for the district court to appoint the third arbitrator. If the parties have agreed so, and a party requests it, a court may appoint all of the arbitrators. the arbitrator has received or requested compensation in accordance with an agreement not made with all parties. Any person with full legal capacity (who reigns over themselves and their property) is qualified to act as an arbitrator. Arbitrators are required to be impartial and independent. The arbitral proceeding is initiated when a party requests arbitration in writing. Besides this rule, the parties are in general free to agree on the applicable procedure, and the arbitrators must act in accordance with what the parties agree. However, there are a few general rules that are mandatory. These rules mainly serve to safeguard the fundamental interests of the parties and the state. the parties cannot empower the arbitral tribunal to use certain procedural measures that are exclusively reserved for the courts (eg, imposition of fines or hearing a witness under oath). A court does not have a general right to intervene in an arbitral proceeding. However, a court can be involved in the proceedings upon a request by a party. A court can, for example, determine the arbitral tribunal’s jurisdiction, assist in appointing arbitrators and grant interim relief that is enforceable. Moreover, a party may, after obtaining permission from the arbitral tribunal, request a court to assist in the taking of testimonies (under oath) from witnesses or parties (under oath) and otherwise in the taking of evidence (such as producing written documents or objects). If the parties have not agreed otherwise, the arbitral tribunal may, at the request of a party, decide that the other party must undertake a certain measure to secure the claim that the arbitral tribunal is adjudicated. The arbitral tribunal may prescribe that the requesting party provides reasonable security for the damage that may occur as a result of the interim measure. It should be noted, however, that an interim measure granted by an arbitral tribunal is neither enforceable in the same way as court measures, nor can it be sanctioned with a fine. A party may therefore also request a district court to grant interim measures, which are enforceable. A district court may grant interim measures both before and during arbitrational proceedings. According to the Arbitration Act, an arbitral award must be in writing and signed by the arbitrators. If the arbitrators have left out their signatures by oversight, they may correct the arbitral award by adding the missing signatures. If the majority of the arbitrators sign the arbitral award, it is sufficient that the reason why all arbitrators have not signed the award is noted in the award. The parties may decide that the chair of the arbitral tribunal alone is to sign the award. The award must be delivered to the parties promptly, but the Arbitration Act does not regulate in what manner the award is to be delivered to the parties. the award does not fulfil the requirements with regard to the written form and signature. there are other procedural irregularities that may be presumed to have influenced the outcome of the case. A party may not invoke a circumstance that the party has waived by participating in the proceedings without objection. A party that wants to challenge the award must do so within three months after receiving the award. For a foreign award to be enforced in Sweden, a party must file an application of recognition and enforcement of the award at the Svea Court of Appeal. Recognition and enforcement is regulated by the New York Convention on the Recognition and Enforcement of Foreign Arbitral Awards, to which Sweden is a party. A domestic award may, after the application by a party, be enforced by the Swedish Enforcement Authority. In order for the Enforcement Authority to enforce the award, it must have gained legal force and fulfil the formal requirements of being in writing and signed. The parties are jointly and severally liable to pay reasonable compensation to the arbitrators for work and expenses. If the parties have not agreed otherwise, the arbitrators may, upon request by a party, order the opposing party to pay compensation for the party’s costs and determine the manner in which the compensation to the arbitrators shall be finally allocated between the parties. The arbitrators’ order may also include interest, if a party has requested that. Normally all kinds of costs attributable to the arbitral proceedings can be recovered, provided that the cost is reasonable. Mediation is the most commonly used type of ADR process in Sweden. In addition, there are dispute boards in Sweden, rendering non-binding judgments, which can be appointed to solve a dispute. Also the National Board for Consumer Disputes can hear claims in disputes between consumers and business operators but cannot render a binding judgment. Furthermore, it is stipulated in the Swedish Code of Judicial Procedure that the court shall, if the matter is suitable for an out-of-court settlement, work with the parties to reach a settlement. The court cannot compel the parties to use ADR. However, if the matter is suitable for an out-of-court settlement, the court shall work with the parties to reach such settlement as long as it is not inappropriate considering the nature and circumstances of the case. Further, provided that the parties consent thereto, the court can direct the parties to appear at a mediation session before a mediator appointed by the court. Special mediation is typically appropriate when it can be used to avoid significant costs and time-consuming litigation in the court. While the choice of mediator is at the discretion of the court, due regard should be taken to the requests of the parties. The parties are jointly and severally responsible for the costs of special mediation, though the costs can be allocated as litigation costs if the mediation does not result in a settlement. Such ADR as described above can be used at all stages of the litigation, and it is not unusual for the court to try to settle the dispute at the main hearing. Swedish law does not set out any particular requirements (such as regarding qualifications, domicile or nationality) for legal counsel or other legally trained persons in order to participate in a Swedish litigation or arbitration or to appear before the courts. In spite of this, in the event of a legal dispute, legally trained persons (lawyers, corporate lawyers and so on) usually represent the parties. There are, in general, no restrictions in Swedish law as to what evidence can be invoked by the parties. If evidence has been gathered contrary to a legal rule or principle, the consequence is that its evidential value can be reduced. This principle of free submission of evidence is not absolute and there are certain exceptions. For instance, the court can reject an item of evidence if it finds it to be without importance, unnecessary or without prejudice for the outcome of the dispute. The court can also reject an item of evidence if the evidence can be presented in another way with considerably less trouble or cost. 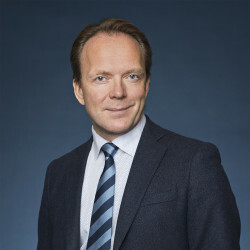 The doctrine of separability applies in Swedish arbitration, meaning that an arbitral clause may be considered valid even if the rest of the contract in which it is embedded is invalid. The Arbitration Act does not stipulate any provisions on confidentiality. If the parties have not expressly agreed not to, a party can disclose information about the arbitration without risking any legal sanctions (with the exclusion of trade secrets, the disclosure of which may be sanctioned with damages under the Swedish Trade Secrets Act). However, legal counsels that are members of the Swedish Bar Association have under the code of conduct a duty to preserve confidentiality in respect of information obtained in client-legal counsel relationships. Recently, the Swedish government has presented a government bill with the ambition to modernise the Swedish Arbitration Act. The main purpose of the proposal is to ensure that Sweden maintains and develops its prominent position in international dispute resolution, and that the Swedish Arbitration Act continues to be considered as modern and easily accessible for foreign practitioners. However, this modernisation does not affect the fundamental values on which the current legislation is based, ie, to provide an efficient and at the same time judicially secure form of dispute resolution. The arbitrators’ decision regarding jurisdiction can be appealed to the court of appeal. At the same time, the possibility of bringing an action to the district court for declaratory judgment regarding examination of the arbitrator’s jurisdiction shall be limited by way of a non-mandatory procedural hindrance, except for consumers in consumer-to-business disputes. When there are several counterparties, and they cannot agree on their choice of arbitrator, the district court shall upon application by a counterparty designate all arbitrators. In such case, the arbitrator appointed by the claimant shall be removed. A party shall be given the opportunity to appoint a new arbitrator when the arbitrator cannot complete its assignment. If the circumstance that led to the arbitrator being unable to fulfil his or her assignment arose after the election of said arbitrator, the party that appointed the arbitrator shall appoint a new arbitrator. In the event that the circumstance already existed when the arbitrator was elected, the district court shall appoint the new arbitrator on the application of a party. However, in such case, the district court shall appoint the arbitrator proposed by the party, unless there are special reasons against it (eg, risk for obstruction of the proceedings or failure to perform adequate due diligence regarding the arbitrator’s impartiality). it is subject to the consent of all parties. The dispute shall be governed by the law or regulatory framework decided by the parties (substantive law). Absent of such agreement, the arbitrators shall decide the applicable substantive law. The award may be based on the principles of fairness and ex aequo et bono only if the parties have decided so. The ground for challenging the award based on the arbitrators’ exceedance of their mandate is harshened. The existing requirements are supplemented with the requirement that it is likely that the exceedance had an impact on the outcome. The time limit for challenging the award shall be shortened to two months. The same time limit shall apply for challenge against the compensation of the arbitrators. The court of appeal shall be able to allow oral evidence in English, without interpretation to Swedish, as regards cases concerning arbitrators’ jurisdiction, voidance of awards and challenge of arbitration awards. A review permit will be required for appeal of the appeal courts’ judgment to the Supreme Court. The purpose is to allow the Supreme Court to limit its examination to certain precedent issues. The reform is expected to come into effect on 1 March 2019.